Home / For the Motherland! For Stalin! Kokorekin, Alexey Alekseevich (graphic, 1906-1959). On the front side from the bottom center of the fragment from Pushkin's poem "Memories in Tsarskoe Selo": "... Be afraid, about the war of foreign people ...". 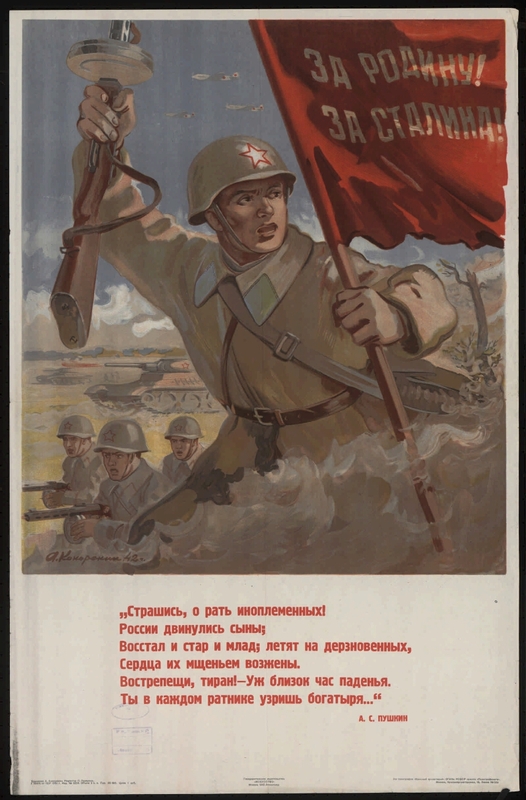 Electronic reproduction of the poster: For the Motherland! For Stalin! [Izomaterial] / artist A. Kokorekin; editor P. Piskunov. Moscow, Leningrad: State Publishing House "Art", 1942. 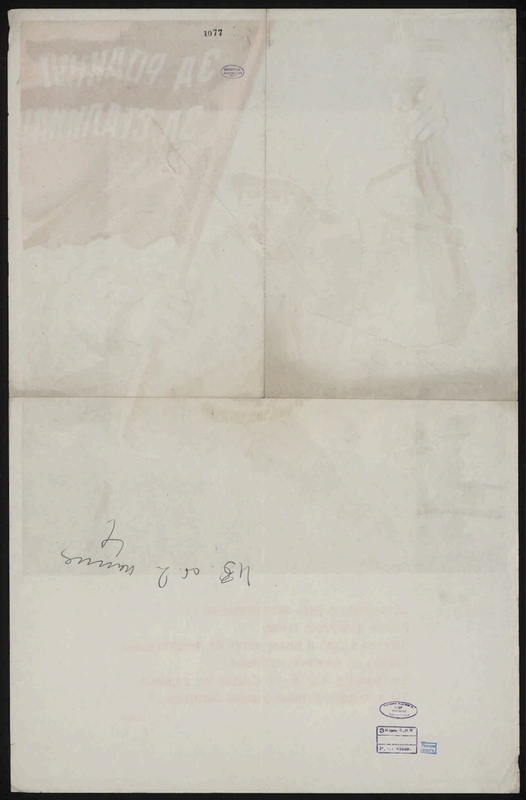 1 sheet (1 column, 7 lines of text): color lithography; 80х52,5 cm. (3rd printing house "Red Proletarian" Огиза РСФСР trust "Polygraphbook"). The circulation is 65000. L 58105. Izd. № 5659. The price is 1 rub. Location: Russian Academy of Arts. Scientific library.